SPDAP will pay up to $40.00 per month for a member’s Medicare Rx prescription drug plan premium, as long as the individual is enrolled in an approved Medicare prescription drug plan or a Medicare Advantage prescription drug plan. 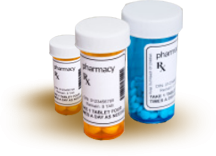 There are 46 different prescription benefit plans and Medicare Advantage drug plan options from which to choose. A complete list of 2019 Stand Alone Plans may be found here. Follow this link for a complete list of 2019 Medicare Advantage Plans. Information about eligibility, maximum subsidy benefit amount and submission instructions for the 2018 SPDAP Coverage Gap (Donut Hole) can be found on the PROGRAM UPDATES page under the heading “2019 Annual Coverage Gap Subsidy”.